Eduardo Coyotzi, left, and Jasmine Valle are joining Daniel Vargas this tax season, helping low-income residents claim tax refunds. Last year, student volunteers helped 500 families claim more than $600,000 in federal and state tax refunds. 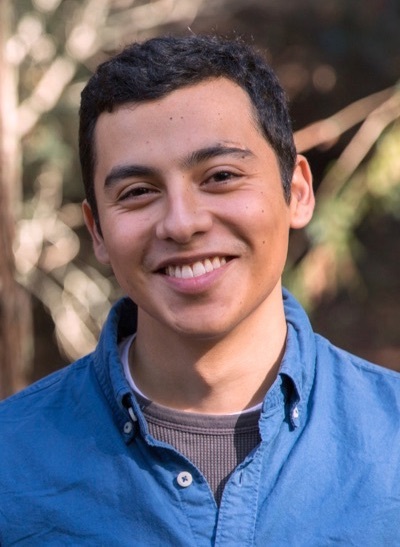 "This program provides a great service to people who need it," said UCSC economics major Daniel Vargas, who coordinates the students. "We serve a lot of Latinos who don't have many resources. People are extremely grateful. It's an awesome feeling." 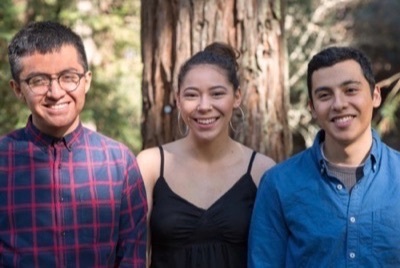 Vargas is in the second year of a three-year paid internship coordinating an IRS program called Volunteer Income Tax Assistance (VITA) for Santa Cruz Community Ventures, one of several agencies and nonprofits administering VITA programs locally. "For many of these families, these refund checks are the biggest checks they get all year," said Community Ventures Executive Director Maria Cadenas. This year, Vargas and Cadenas are eager to get the word out to even more people. Each year, more than $6 million in tax credits go unclaimed in Santa Cruz County, according to Cadenas. "A lot of people don't know about this or don't take advantage of it," said Vargas, who is in the process of recruiting 15-20 volunteers, all of whom will receive extensive training in tax preparation, as well as serving the public. In the past, VITA has set up shop in public libraries and at Goodwill. This year, Vargas's team will also operate out of "pop-up" style sites, trying to reach those who need support where they live and work. "You have to provide a lot of personal information for taxes—your address, Social Security number, income, employer information," he said. " In this climate, we want to take our services to the community, where they'll feel safer." Most participants get a refund—but not everyone. "People get frustrated when they find out they owe money," said Vargas. "People who are self-employed often don't realize they need to pay self-employment taxes." Vargas recalled helping a self-employed hairdresser think through her options after discovering that she owed about $1,000 in taxes. "At first, she was upset," he recalled. "She asked a lot of questions and wondered if we'd done it right." Vargas told her how to request a filing extension and discussed the option of making monthly payments. He also referred her to information about budgeting workshops, credit and debt management, and strategies to avoid getting behind on self-employment taxes in the future. "That alleviated her frustration," he said. "Through VITA, Community Ventures connects the people we serve to the skills they need to build economic independence—financial capability skills." Vargas is a first-generation college student who grew up in East LA, a predominately Latino area. When he was applying to colleges, he knew he wanted to go to an in-state, Hispanic-Serving Institution. Santa Cruz, he said, was "away from home but not too far away." Last year, Vargas coordinated 19 volunteers who donated more than 1,200 hours to VITA. About half the students Vargas recruits earn academic credit through the Economics Department's field-study internship program. "All the students are really motivated," said Vargas. "This is an opportunity for them to apply what they learned in accounting courses to the real world." Ninety percent of VITA volunteers are UCSC students, noted Vargas. "We are sometimes underestimated, but this shows how much we can really perform," he said. "Students at UCSC are really making a change." Vargas jokes that coffee and motivation get him through the busy season, when he works up to 30 hours a week on the program—in addition to keeping up his schoolwork. "I love math," said Vargas. "It just clicks in my brain." But being involved with the community this way has broadened Vargas's horizons. He is now interested in public policy. "This program is amazing, but it only runs a few weeks a year, and it's only one aspect of what the community needs," he said. "We need a system that works for them. I want to go bigger. We need bigger ideas, bigger changes."